Your presence. How could a stronger personal presence help you grow spiritually? Or empower you to help others! Your presence matters a lot. How could a stronger personal presence win you greater success? And spiritually, how can you develop a more inspiring, powerful presence? Unless you’re living alone on a desert island, you might find it hopeful to read these articles about presence. How to improve it. Why to value it. Because what’s the point of personal growth if it doesn’t show in your presence? For articles on designer clothes or “Your look,” you’ll have to look elsewhere. Image is often considered the key to having a powerful presence. Ridiculous! Energetic literacy shows lasting presence. Meaningful presence. As part of a life where you do important things, don’t just think that how you physically look is hugely important. Energetic literacy skills inform all 10 of the articles below. 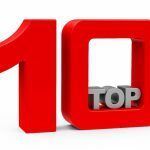 Some of these Top 10 articles come from my perspective as an Enlightenment Coach. By contrast, others reveal an RES perspective as an Empath Coach. However personal presence matters to you, search for new articles on this topic by typing PRESENCE into our search box. From time to time, this blog will feature new articles on this topic. Surprisingly, there’s a lot more to understanding your empathic nature if you want to improve that mysterious presence factor. What good things can aura reading reveal about every individual’s energetic presence? Conversely, how can presence improve just by learning how to read auras? Of course, if you’re energy sensitive, clarity probably matters a great deal to you. So let this article help you gain more clarity about your presence. Socially, your presence can help you to get ahead. Or not. Which would you prefer? Because we empaths have much worse presences than we deserve… until we get skills. #7. Your Presence Improved — Oh, Was There More For Empaths to Understand About Personal Presence? Note: Both of the following articles are about Skilled empaths. Not what we’re like before we gain skills that make our lives so much better. Presence included. I just love this guest post by IRENE. Let me know what you think. This blog post combines the political and the personal. Millennials and others who are young at heart, find encouragement in this perspective about your presence and how to spread it around. Personal growth.. two favourite words of mine. You’ve reminded me that blocks and frustrations and difficulties are so overcomeable. This blog has seen so much growth for so many people! And so have I. In light of your latest post [about caring people], again and again you show how much you truly care Rose.